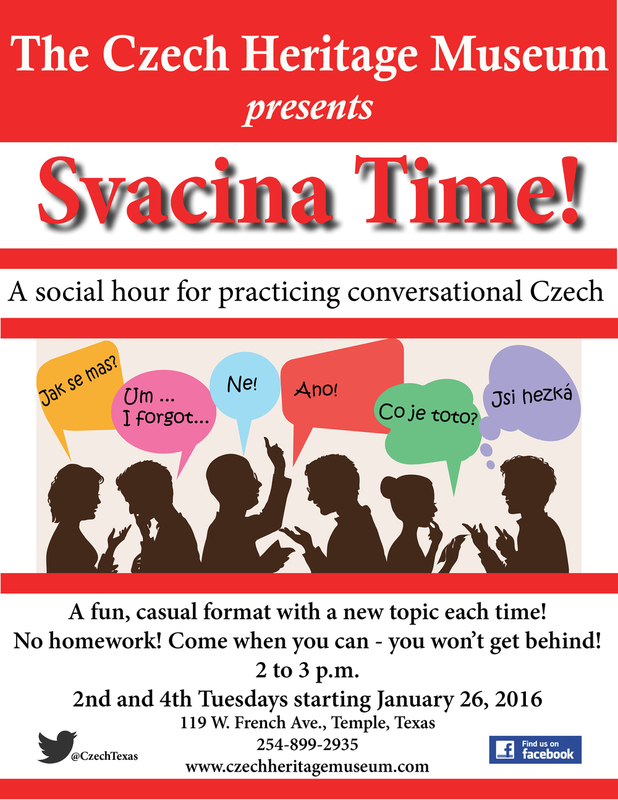 Lecture featuring Daniela Mahoney begins at 6:30 p.m.
Join us for Beginner Czech class from Blinn College! Would you rather learn with others? Don't have all the computer stuff needed for a live online course? We're hosting Czech Class at the museum Tuesdays and Thursday nights from 7 to 9 p.m. For more information, contact Blinn College or Susan Chandler 254-899-2935. Meets second Tuesdays at 2 p.m. This beautiful baroque piece has been set to an animated collection of the illustrations of beloved Czech artist Josef Lada. Start the Holiday Season at the Museum!